I have been enjoying the professional services of Nickel Art for the past two years. 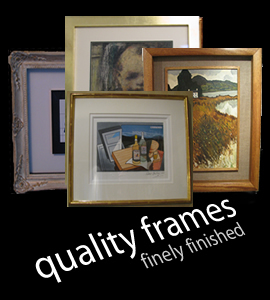 Without doubt, it is the top framing company in Northern Ireland. 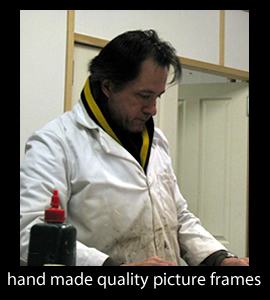 Nickel Art’s Executive Framer, Alan Crawford, is a technical genius, offering the highest level of craftsmanship through pioneering techniques of high-calibre construction and carving. 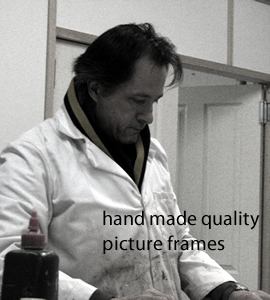 All of my sculpture pedestals and frames for major commissions are built at Nickel Art, with everything finished to an exceptionally high quality. If you want good company and a bit of “crack” Nickel Art is the place to go. By the way they also offer great advice on picture framing and the job they do is not bad either. Quality Counts, something that is very rare in today’s work place. It’s so nice to see short cuts not been taken. The old traditional methods are the best.